Keeping your chicken coop clean is an important part of successfully raising a flock of chickens. Unfortunately, not all coops are built to cooperate well with your cleaning efforts. If your coop is difficult to clean you may find yourself procrastinating on this important task. On the other hand, an easy to clean chicken coop is built with features that reduce cleaning time and effort. So why is a clean chicken coop so important? The chances of your chickens contracting a harmful disease are greatly reduced in a clean coop. Although you’ll never remove all bacteria from your coop, lower levels of harmful bacteria will minimize the chances that your chickens will get sick. This is, in fact, one of the most important reasons for keeping your small chicken coop clean. 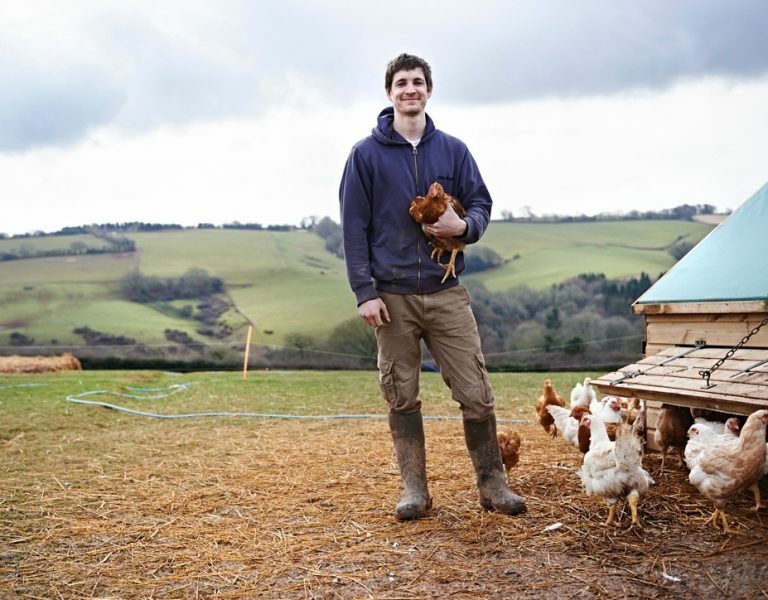 How could a dirty coop contribute to the poor health of your chickens? Excessive amounts of poop in the coop can lead to a buildup of ammonia which isn’t good for your chicken’s lungs. 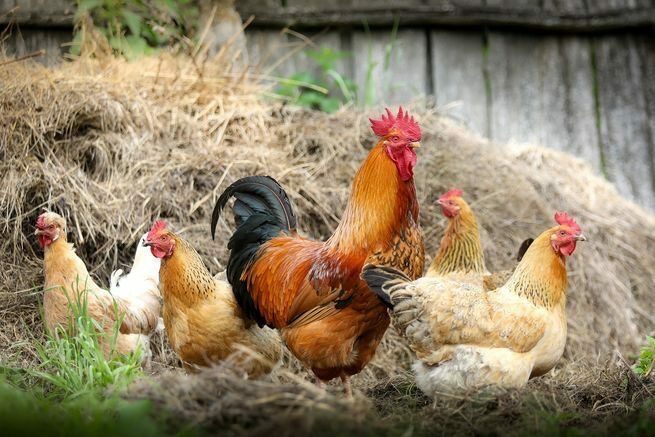 If, after you open the door to your chicken coop, you are struck with a wave of chicken poop odor that nearly knocks you to the ground, then the level of ammonia in the coop is probably already too high. High levels of ammonia can result in respiratory damage to your chickens. This damage increases susceptibility to bacterial respiratory infections such as E. Coli. Tip: One of the best ways to keep ammonia from building up is to maintain a dry litter base and to provide plenty of ventilation. Also make sure your chicken coop size is large enough for your flock. How often you should clean your coop depends on whether or not it’s filled to capacity with chickens. You should remove the poop under the roost area every day or at least once a week (you can do this in a short time by using a litter tray). Remember that multiple layers of dried chicken poop on a hard surface will harden, making it very difficult to remove. Depending on your situation, plan to completely replace bedding and give your coop a thorough cleaning every three months. Tip: When removing the poop from the litter tray, take a moment to scan it to make sure it looks normal. Chicken diseases frequently show up in poop. Choosing a warm sunny day to clean your coop will assist with quickly drying the inside after cleaning. Begin by removing all bedding and scraping poop from the floor and roost bar. Apply water to any hardened poop until it softens and can be scraped free. Clean the entire interior of the coop with water and a disinfectant cleaner. If you don’t like to use harsh cleaners such as bleach, white vinegar is an effective natural alternative. Apply the vinegar solution liberally to every nook and cranny of the coop to remove any mites that might be hiding in the corners. Remember to give feeders and waterers a thorough cleaning as well. Allow the coop to dry completely before adding new bedding. When choosing bedding for the floor, be sure to choose a material that’s completely dry and generously absorbent. Floor bedding helps to keep the floor clean and makes cleaning poop out of the coop much easier. It keeps poop from becoming stuck to the floor and helps control the odor within the coop. Untreated wood sawdust, wood shavings, or chopped straw makes an ideal bedding material. Keeping your chickens in a new, well ventilated chicken coop with a raised floor is preferred to using a damp old building for a coop. An old building with little natural lighting and ventilation will make it more difficult to control the levels of bacteria and mites. A coop that includes easy to clean features such as a litter tray and an epoxy coating on the floor will increase the likelihood that your chickens will stay healthy. Tip: Use vanilla scented car fresheners to keep the flies out of your coop or vanilla spray to keep them off your chickens. You may be interested in this informative article on using vanilla to protect your chickens. As strange as it may sound, dust in your coop is a good sign that it is clean and free from mites. Chickens need an occasional dust bath which will help to protect them from mites. For this reason you may notice your chickens digging a hole in dry dirt and kicking the dust over themselves. So if the inside of your chicken coop gets a little dusty that’s a good sign. There’s no need to pull out your feather duster just yet! Instead of getting rid of the dust, it’s a good idea to sprinkle generous amounts of dalmatius earth around the inside of the coop, especially after it’s been cleaned. Also sprinkle a bit inside the nesting boxes. Make sure the inside of the coop is completely dry before taking this step since moisture will reduce the effectiveness of the dust. The main issue to avoid that’s related to dust in a chicken coop is to keep the inside of the coop as dry as possible. A leaky roof or wall is an issue that should be taken care of as soon as possible. In addition, use a watering solution for your chickens that minimizes spilling into the bedding. Wet bedding will become a hotbed for disease and wet poop will release more harmful ammonia into the air. Making sure your chickens stay healthy should be one of your top priorities. And one of the most effective ways to promote chicken health is to keep their coop clean. Cleaning the coop removes harmful ammonia and bacteria while allowing you to get an early alert to warning signs of poor health in your flock. If you have yet to adopt a flock of chickens, be sure to start out right by investing in an easy clean chicken coop. Do you Need an Easy to Clean Chicken Coop? 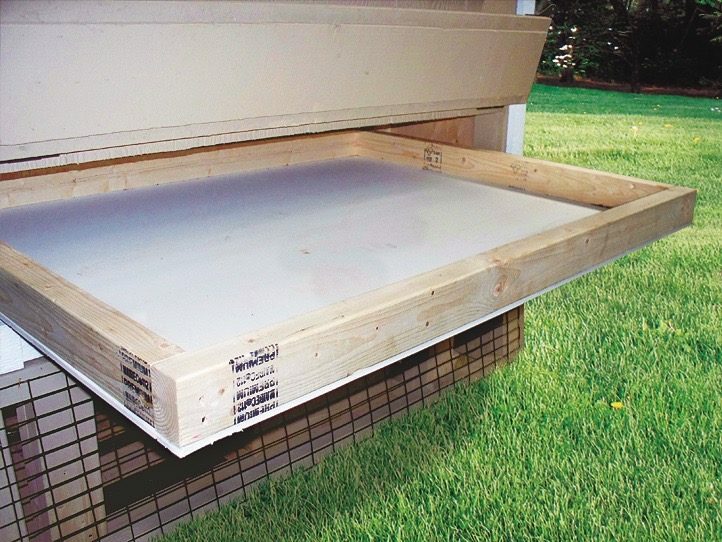 Whether you’re just starting out with chickens, or if you’re a veteran chicken farmer, an easy to clean chicken coop can make all the difference. 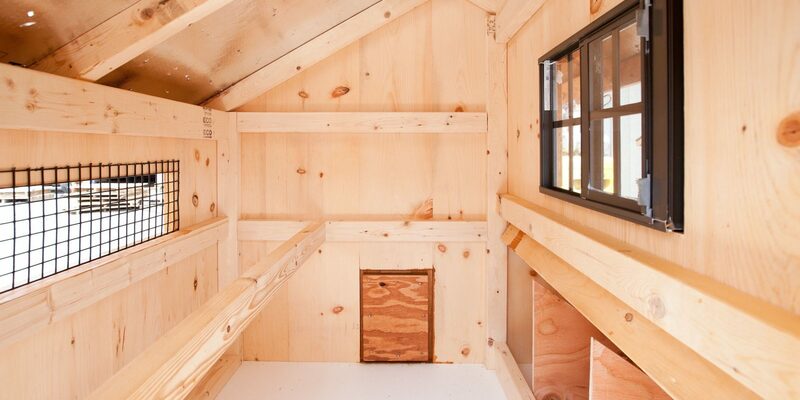 Let us help you find the chicken coop you’ve been looking for.